Have you or someone you know recently faced a life-threatening illness or a life-shattering crisis? The answer to this question is more than likely, yes. Grief and loss are two emotions that many of us are all too familiar. We lose parents, friends, spouses, and even children. We grieve. We remember. Life never stops. 5. stay connected to close family and friends. Loss throws you into a place of uncertainty, even if the loss is anticipated or planned. It is important to know when to seek help from a therapist. 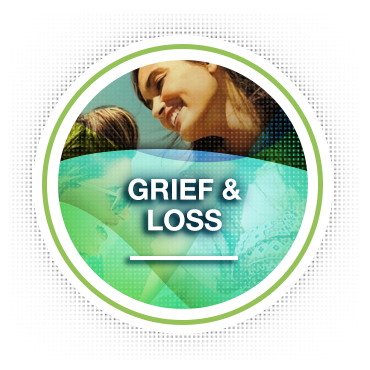 Grief counseling can help you move through the stages of grief easier and more effectively. The most important thing to know about grief is that it is a normal process of life. Through grief counseling, recovery and healing can be achieved with less pain and more hope. MYTH: It's important to "be strong" in the face of loss. FACT: Feeling sad, frightened, or lonely is a normal reaction to loss. Crying doesn't make you weak. You don't need to "protect" your family or friends by putting on a brave front. Showing your true feelings can help them and you. MYTH:If you don't cry, it means you aren't sorry about the loss. While loss affects people in different ways, many people experience the following symptoms when they're grieving. Just remember that almost anything that you experience in the early stages of grief is normal – including feeling like you're going crazy, feeling like you're in a bad dream, or questioning your religious beliefs. 1. Shock and disbelief - Right after a loss, it can be hard to accept what happened. You may feel numb, have trouble believing that the loss really happened, or even deny the truth. If someone you love has died, you may keep expecting them to show up, even though you know they're gone. 2. Sadness - Profound sadness is probably the most universally experienced symptom of grief. You may have feelings of emptiness, despair, yearning, or deep loneliness. You may also cry a lot or feel emotionally unstable. 3. Guilt - You may regret or feel guilty about things you did or didn't say or do. You may also feel guilty about certain feelings (e.g. feeling relieved when the person died after a long, difficult illness). After a death, you may even feel guilty for not doing something to prevent the death, even if there was nothing more you could have done. 4. Anger - Even if the loss was nobody's fault, you may feel angry and resentful. If you lost a loved one, you may be angry at yourself, God, the doctors, or even the person who died for abandoning you. You may feel the need to blame someone for the injustice that was done to you. 5. Fear - A significant loss can trigger a host of worries and fears. You may feel anxious, helpless, or insecure. You may even have panic attacks. The death of a loved one can trigger fears about your own mortality, of facing life without that person, or the responsibilities you now face alone. 6. Physical symptoms - We often think of grief as a strictly emotional process, but grief often involves physical problems, including fatigue, nausea, lowered immunity, weight loss or weight gain, aches and pains, and insomnia. At Family Solutions Counseling Center, our therapists are highly skilled to help facilitate an environment that allows individuals and families express their feelings, to help find the words to describe how they feel during this difficult time. Dedicated to serving our community, FSCC assists families through life's most difficult moments. Grief is a complicated process for all ages, however, when a child or teenager experiences loss, they often express their emotions differently than adults do. It may manifest itself in the form of anger, nightmares, rambunctiousness, or they can become shy, quiet and altogether shutdown. They may withdraw from friends, lose sleep or their appetite. It is important to keep lines of consistent communication open in order to provide a safe place for your child to discuss their feelings.